I am redoing my sewing room, well really I am turning the den that has slowly been taken over by sewing into an official sewing room. In honor of the 1 year blogiversary I made a Sewing with Rascal wall hanging on burlap wrapped canvas. I looked into getting a canvas professionally made but it was more than I wanted to spend, so I looked around Hobby Lobby and found a burlap wrapped canvas on sale for less than $10. I used Picasa to create a template big enough for the 12 x 24 canvas. It’s really easy using the ‘Make a Poster’ function which cuts the image up into 8.5 x 11 page size sections that can be taped together once printed. Then I traced the logo onto the canvas, just like tracing in elementary school. Once everything was traced, I used a paint marker to color. I only needed black and yellow so it was simple, but it would be fun to make a multicolor project. Another art project for the sewing room - I wrapped fabric around corkboard and stapled. Then attached to a 27 x 33 frame and added a big metal safety pin held by pins. 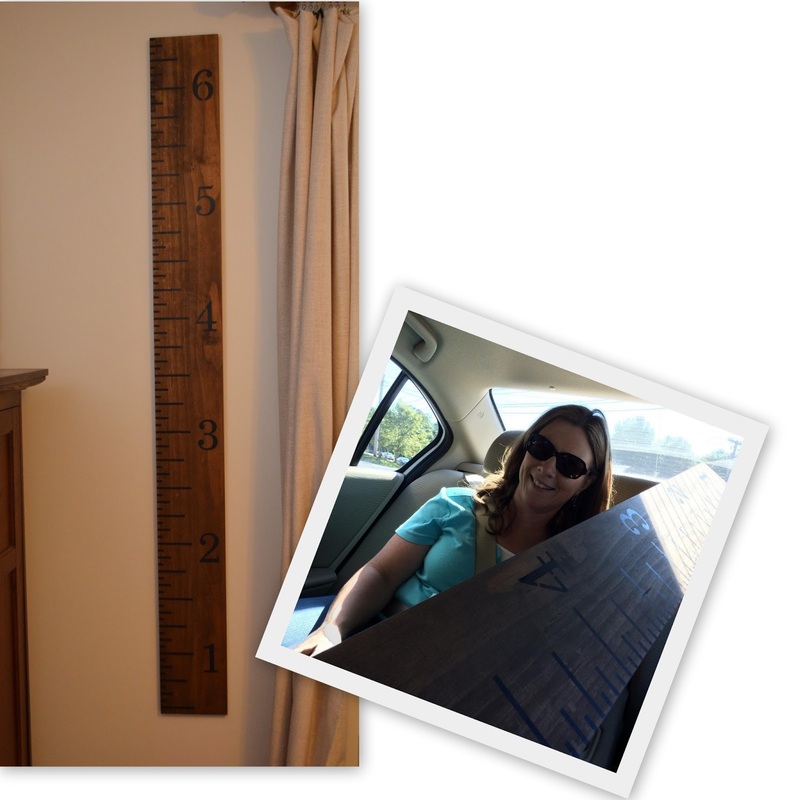 oh, and I found a giant ruler at Short Sheets that poor Becky had to get the both of us home in her car.